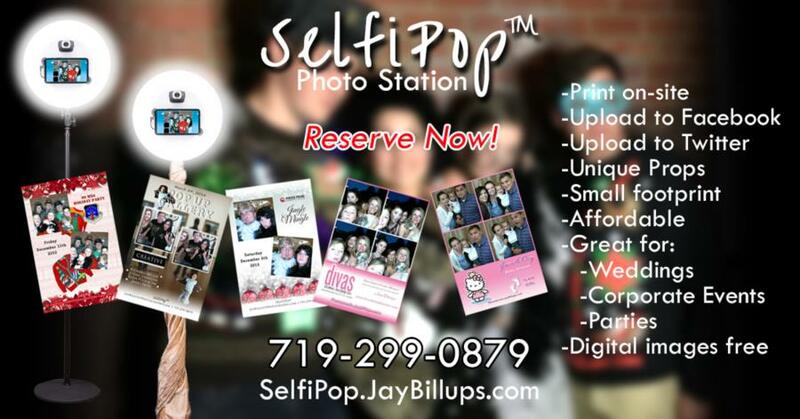 Reserve our SelfiPop™ Photo Booth station for your next event. ᔕᗩᐯE YOᑌᖇ ᗪᗩTE ᑎOᗯ! 10% Discount with printing USAFA Cadets, Instructors and Staff.